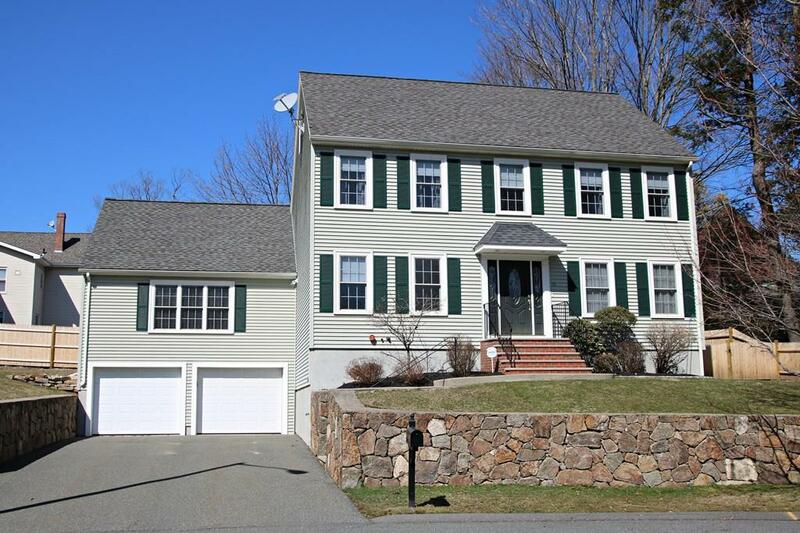 16 Years young, one owner, Center Entrance colonial located on a cul-de-sac near the center of town features eight rooms, four bedrooms, two full and one half baths, 2 car garage, central air central vacuum, and hardwood throughout. First floor comprises a formal living and dining room, cozy bedroom, kitchen with stainless and six burner stove, half bath with laundry and impressive family room with gas fireplace and cathedral ceiling. Second floor houses three bedrooms and two full baths including a generous master suite with walk- in closet and en-suite bath with jacuzzi tub. Full walk-up attic and basement offer many more possibilities. This well maintained home is turn-key. Schedule a showing today!